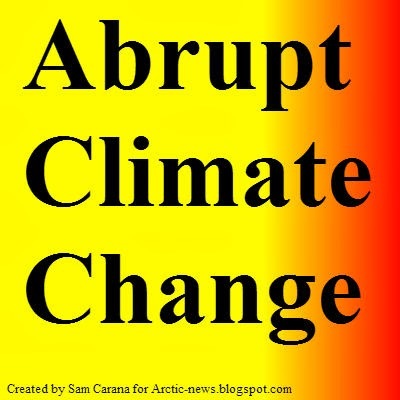 Abrupt climate change is defined by the IPCC as a large-scale change in the climate system that takes place over a few decades or less, persists (or is anticipated to persist) for at least a few decades, and causes substantial disruptions in human and natural systems. 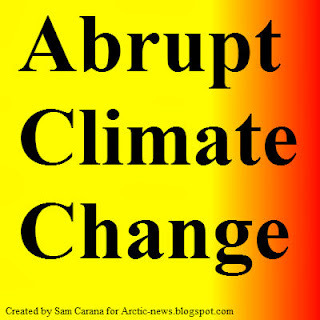 Examples of components susceptible to such abrupt change are clathrate methane release, tropical and boreal forest dieback, disappearance of summer sea ice in the Arctic Ocean, long-term drought and monsoonal circulation. Deposits of methane clathrates below the sea floor are susceptible to destabilization via ocean warming. Anthropogenic warming will very likely lead to enhanced methane emissions from both terrestrial and oceanic clathrates. The Paleocene/Eocene thermal maximum (PETM) is a climate shift that occurred 55 million years ago. – and how fast it happened – 55 million years ago. 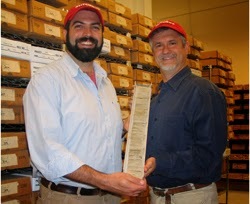 In a new paper in the Proceedings of the National Academy of Sciences, Morgan Schaller and James Wright present their finding that climate change can and did happen abruptly, or in geological terms, instantaneously. Following a doubling in carbon dioxide levels, the surface of the ocean turned acidic over a period of weeks or months and global temperatures rose by 5 degrees centigrade – all in the space of about 13 years. “We’ve shown unequivocally what happens when CO2 increases dramatically – as it is now, and as it did 55 million years ago,” James Wright said. The film below goes into more detail regarding the current situation. The film “Last Hours” describes a science-based climate scenario where a tipping point to runaway climate change is triggered by massive releases of frozen methane. 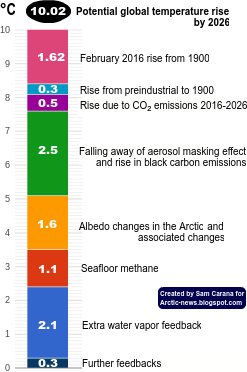 Methane, a powerful greenhouse gas, has already started to percolate into the open seas and atmosphere from methane hydrate deposits beneath melting arctic ice, from the warming northern-hemisphere tundra, and from worldwide continental-shelf undersea methane pools. “Last Hours” is narrated by Thom Hartmann and directed by Leila Conners. Executive Producers are George DiCaprio and Earl Katz. For more, also watch some of Thom Hartmann’s interviews. High methane levels are prominent over the Arctic Ocean, as illustrated by the image below, covering a period from October 3, 2013, 10:54 am to October 7, 2013, 11:53 pm. The fact that methane has not been present elsewhere in such high concentrations over this period indicates that the methane wasn't carried there by the wind from elsewhere. 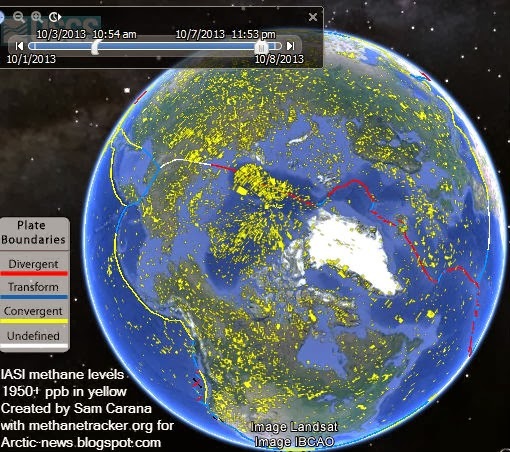 Also, methane typically appears to move along the same latitude, due to the Coriolis effect. The image indicates a link between seismic activity and destabilization of methane that is held in sediments under the Arctic Ocean. Methane does show up prominently along the fault line that crosses the Arctic Ocean and extends into Siberia over the Laptev Sea. 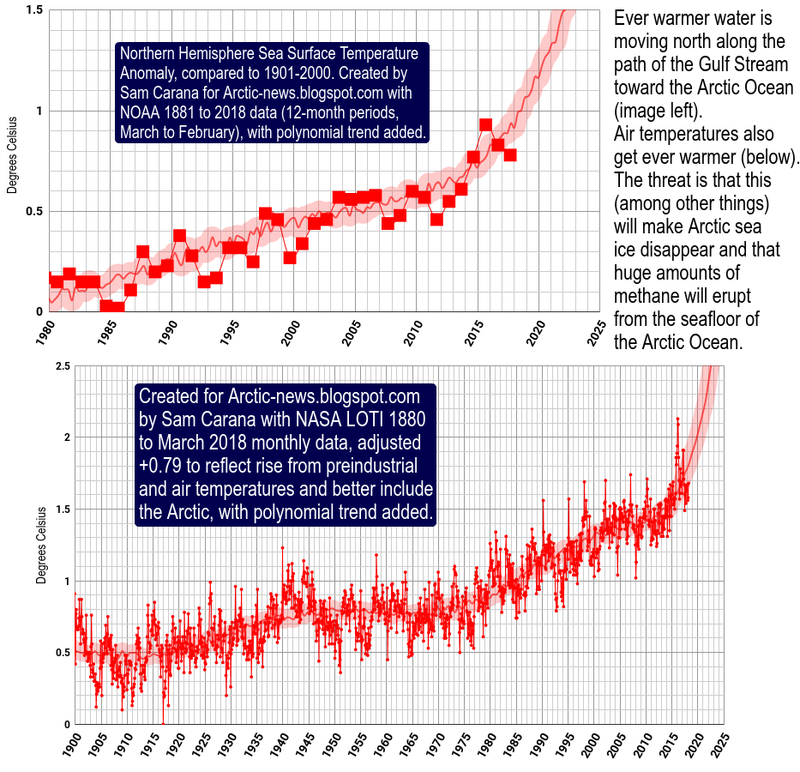 The diagram below shows global warming evolving into accelerated warming in the Arctic. Feedbacks such as albedo changes and methane release speed up this process, triggering abrupt climate change and finally extinction. 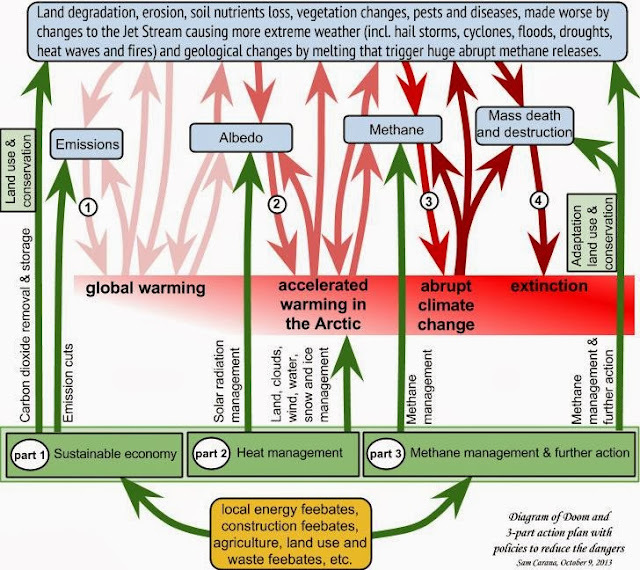 This threatening situation calls for an Effective and Comprehensive Climate Plan, such as depicted by the green lines of action in the image below and as further described at the ClimatePlan blog. For more background, see related posts further below. Some have suggested that an independent panel to the IPCC should be set up given the gravity of the Arctic situation. 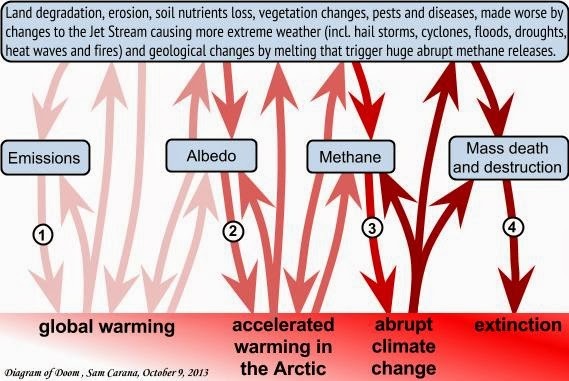 IPCC analysis is just too casual and simply does not convey the serious consequences of Arctic melt. Are you aware of any such initiatives? There are surely enough experts in the scientific field. Peter Wadhams is an outstanding spokesman, but even he is not being listened to. Nowhere do they mention the effects of albedo loss, have I understood that correctly? Yes, I'm keen to support any international panel that is willing to take a close look at the situation in the Arctic and articulate the effective and comprehensive action that is necessary to stave off climate catastrophe. But not simply by making small adjustments using present broken system. A locked in system that will come crashing down in a span of WAR. A link between politics and war is tied in with economics the way things stand now. That needs fundamental alteration tapping Act of God to alter contract law now..
How Do We Act in the Face of Climate Chaos?